The electronic music world has expanded the sequencer style of mid-70s Tangerine Dream to almost epic proportions — in fact it's very difficult to keep up on everything that comes out given that so much of the style seems to originate from small presses in Europe. DiN records tends to have a better distribution scheme so that its releases show up more visibly, even though many of these also tend to go out of print fairly quickly. But if you take all of these artists and groups (most notably Redshift, Radio Massacre International, AirSculpture, Kubuschnitt, and Volt), the concentration still seems to largely congregate around Stratosfear to Encore period Tangerine Dream. Node takes you back to Rubycon and Phaedra, where things were just a touch more abstract, where you'd often have sequencers, you'd be just as likely to have moments of dark atmospherics and weird analog experiments. 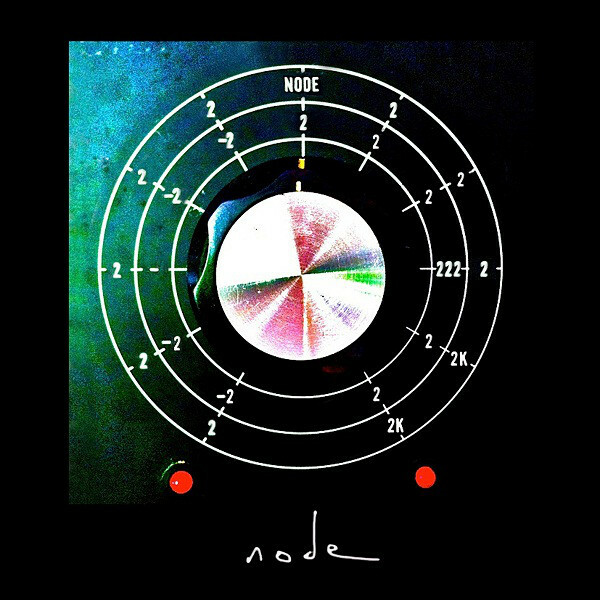 Node had actually started their career over a decade earlier but it was only recently before they released their second full length and it has been hailed by many as a modern classic of retro-analog electronics. The long journey takes one through a number of different moods, from relentless energetic sequences to dark lightless subterranean caverns filled with the resonance of pinging radars. And just like with Phaedra and Rubycon the experimentation never seems to go fully textural, there's always some level of melodic content behind it all.